Car manufacturers tout their efficiency. Consumer advocates dispute claims of 60-plus miles per gallon gas efficiency. Amidst the controversy, environmentalists still claim, in the absence of anything better - that hybrid vehicles are still better for the environment than their traditional gas-guzzling counterparts. Hybrids, known for the way they combine both gas and electric power to offer a cleaner ride, have come under fire in recent months for their inability to reach gas mileage milestones set by the manufacturers. Critics say that most fail to live up to claims of getting more than 60 miles to a single gallon of gas. Advocates argue that recent studies confirm the same is true for efficiency ratings set on traditional engines, still making hybrids the better deal environmentally. Touted as the gas-saver of the future when introduced in 1999, hybrids are known to use a fraction of the gas due to their ability to "share the burden", with their electric motors. Full hybrid vehicles allow the electric motor to work independently of the more traditional internal combustion engine, while driving at low speeds. This in turn saves gas, and stops harmful emissions from entering the atmosphere. During an idle stop, a full hybrid actually shuts itself off, letting the electric motor take over to eliminate unnecessary idling and emissions. Consumers should be aware, however, that the mild hybrids focus remains on traditional gas consumption, with the electric motor only assisting the gas engine at high speeds when more power is needed, thus making the mild hybrid much less environmental friendly than its full hybrid counterpart. Great for in town drivers, the full hybrid allows slow speeding drivers to virtually use only the electric motor, thus saving even more gas, and eliminating harmful emissions into the environment. Despite any controversy surrounding today's hybrid vehicles, consumers seem eager to do what they can to decrease the harmful effects of emissions on the environment and save a few bucks at the pumps. The Yano Research Institute Ltd. estimates that by 2015, nearly 5.37 million hybrid vehicles will be on the global road, compared to less than one million last year.Manufacturers have jumped on the bandwagon, with Honda, Toyota, Ford, Lexus and Chevrolet, all offering their own hybrid varieties. Newer models sport higher-powered and faster models, even making hybrid SUV's and trucks available to the consumer. How many people really think that owning a hybrid car will help the environment ? 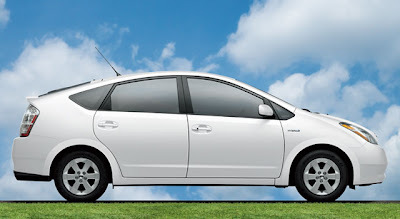 I mean look at all these hybrids here http://www.topgreencars.com/ would owning one really save a tree ?